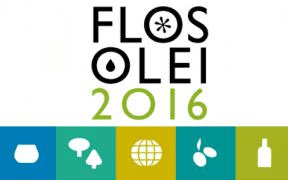 Clos de la Torre extra virgin olive oil, produced by Oleícola de l’Empordà, will appear in “Flos Olei 2016”, the guide to the best extra virgin oils in the world, which has selected it from more than 1,000 samples from all over the world. The company, based at Rabós d’Empordà (Alt Empordà) has shown its satisfaction with being back in this prestigious guide, published by Marco Oreggia, journalist, wine and food critic and expert taster, with the help of another journalist and expert taster, Laura Marinelli. Important experts from the olive oil sector from Spain and other countries and a team of tasters coordinated by Marco Oreggia and Laura Marinelli have taken part in creating the publication, which will go on sale in January 2016. As the publisher of “Flos Olei” points out, this guide is “an instrument for publicising and promoting the best of the world olive oil production industry”. It is published in two languages: Italian and English.